“I have been involved with many TV series but never one that was as innovative, exciting and had such a team spirit”. 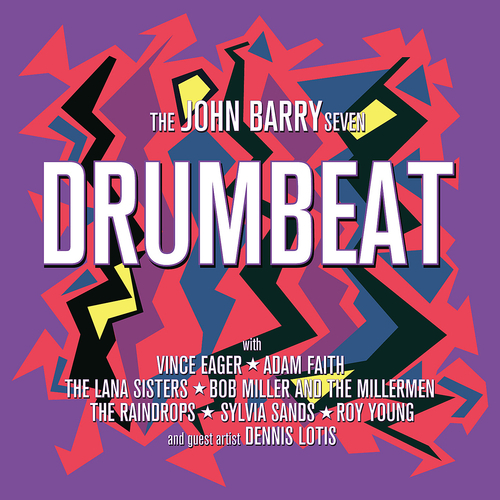 The album features John Barry’s first recording with Adam Faith, "Ah Poor Little Baby! ", plus his secret musical identity as the John Prendy Orchestra backing The Three Barry Sisters. The CD is accompanied by a 20 page booklet focusing on the history of this seminal programme, penned by Geoff Leonard & Pete Walker, pre-eminent experts on Barry’s career and authors of John Barry - The Man With The Midas Touch. "Geoff Leonard and Pete Walker have written an authoritative booklet that begins by setting the scene between ITV and the BBC in the battle for teenage audiences. Details of all the artists and some of the writers are included and amongst the artwork is an original billing of Drumbeat from the Radio Times. This fascinating CD offers an enlightening view of the working practices of popular music from half a century ago." The Raindrops, The Millermen - Hey! Miss Fannie! Adam Faith - Ah, Poor Little Baby!